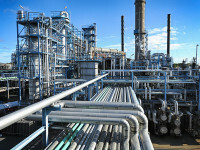 Petrochemical, biofuels and related development and processing, and the testing that supports it all, are high-profile and essential areas of importance in the world today, with the stakes higher than ever and margins and efficiency often the difference between viable enterprise and negative profit. It's important to be able to to track the analyses of raw materials, in process and final product samples. Accurate measurements of purity are crucial, requiring a robust QA/QC and limits alerting process like that of our LIMS solution. QA and QC processes are, as we mentioned, quite fundamental to labs of this kind, and COA's may constitute the main reports. LabLynx lets you track individual samples that make up a composite sample. The results of the composite analyses can then be entered as the results of the individual samples that made that composite.